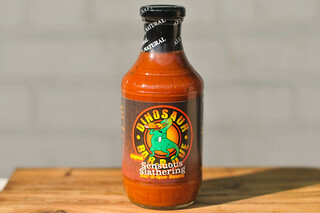 If you can stand the heat, this sauce is for you with an incredible spiciness backed-up with a solid and robust barbecue flavor. 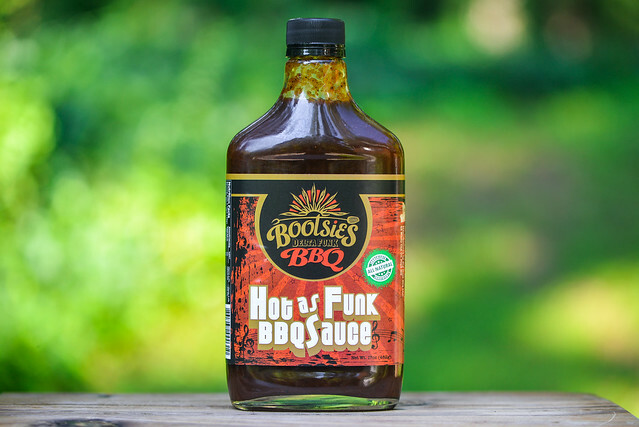 While Bootsie's Delta Funk BBQ is a brand that just crossed the two year mark, the origin of their sauce recipes dates back 100 years. The sauces are products of heirloom recipes from the family of Adrian Boyd who original hailed from Tunica, MS. Today, the company is run out of Pope, MS with co-founders Peter Grumbles and Anish Elam, and the sauces have evolved to also include Indian influences thanks to Adrian's wife, Latha. 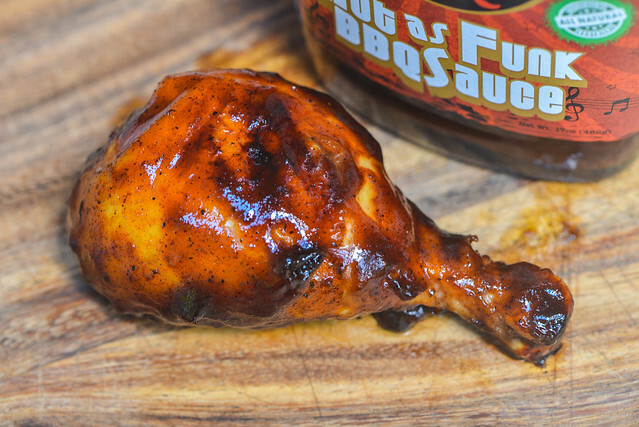 Although a relatively new start-up, Bootsie's Delta Funk BBQ have come out of the gate strong with four distinct varieties of sauces along with three different rubs. The initial aroma of the sauce has a spicy molasses character that tickles the nose which is telling of the amount of pepper waiting inside. While the heat is upfront, the sweetness is equally strong and has floral honey and ketchup-y tomato components to go along with the molasses. The pepper's strong presence is intensified by a medium vinegar tang, while there's also a notable background savoriness along with a faint smokiness and light onion powder smell. This maroon sauce is very smooth and has a glossy sheen. It's pretty opaque, but the immense amount of spices make it easy to see tons of small red and black specs along with a few larger white ones. Its consistancy sits right at the center of the thickness scale and is syrupy, which has the sauce falling in one large drip at first off of a suspended spoon, followed by a continuous, albeit uneven, pour. As the sauce slows, it switches to many small and fast drips before ceasing and leaving a medium coating of sauce left clinging to the silverware. The very first taste is a combo of sweet molasses and tomato, but all sugary ease is exterminated by a strong heat that enters quickly. Within a few seconds, the peppers impart a burn that become all you can really think about. Before the sauce becomes super insanely hot though, you can taste the many barbecue layers sitting behind the chilis with a complex Worcestershire and soy sauce mixture, tart vinegar, and garlic and onion powders. All of that is fleeting though, because it doesn't take long for the heat to become all encompassing and leave you with a burning mouth and, for me at least, heat-induced hiccups. The sauce coated the chicken in a thin and even layer that baked down well over indirect heat. When moved directly over the fire, there was some caramelization with no burning and just a little lose of sauce. The sauce gave the chicken a robust barbecue flavor with a strong mixture of tomato and molasses that tasted fresh and of high quality. While there was a slight bump in the sweetness, the peppers still remained strong and did their job—within a few bites my tongue and lips were left burning. 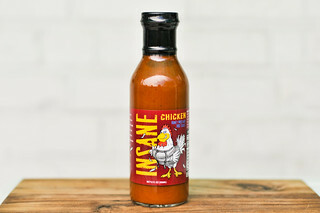 I think it has been awhile since I reviewed a super spicy sauce, so I was excited when this Hot as Funk recipe was included in my care package sent by co-founder Peter Grumbles. You never quite know how spicy a sauce branded as "hot" is going to be, but this one certainly lives up to its label. 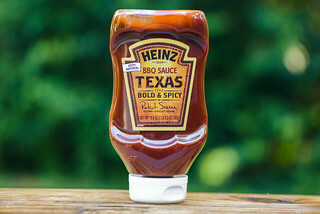 While I love a spicy sauce, you could say this one goes a tad far because the heat is so strong that all the great barbecue flavors are fleeting and I wished they had more time to make and impact. This actually has me more excited to try their regular recipe, but I can't deny that this is a really good sauce on its own. You do have to be heat lover to both handle and really appreciate it, but it won't disappoint. The spiciness was more intense out of the jar, which made me like it a little more when cooked on chicken because I was able to get more of the barbecue flavor in before the heat did its job. 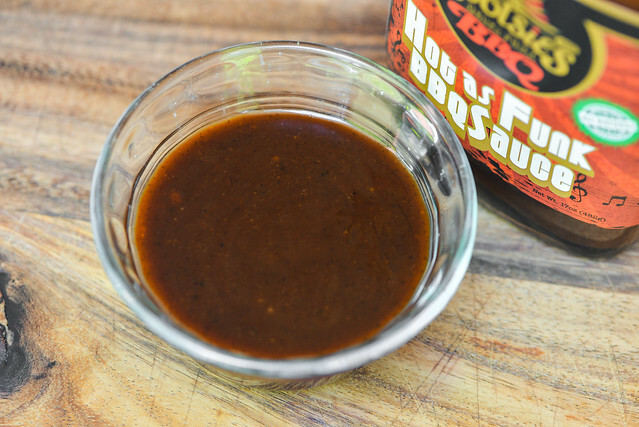 I think this would be especially great brushed on grilled chicken wings, but it also would make for a fine spicy rack of ribs, hot condiment for hamburgers, finishing sauce for a steak sandwich, and much more. Fantastic Review. And great Camera Work!